We should all take garlic for health and longevity. I would call garlic the super-spice. I collated information from various sources, including the REMEDY series and a workshop by a local herbalist. I was selecting the herbs and nutritional foods we could use to combat our personal domestic maladies like Meniere's disease, persistent bacterial infections, high blood pressure, sticky platelets and high cholesterol. Meniere's disease is little understood and could be caused by a number of factors. I believe that some micro arteries were possibly damaged by virus, so I'm gunning against viruses and atherosclerosis. I also have migraine which can be caused by problems with micro-arteries. The only medicinal herb that came up as helpful for all the problems was garlic. We already eat a lot, so we're going to up the dose and have some of it raw. Most of my information on garlic comes from a wonderful book called Medicinal Seasonings by Dr Keith Scott. I'm providing a link to this book on Amazon and if you purchase I will receive a tiny commission at no added cost to yourself. I found Dr Scott's book one of the most fascinating I've read on nutritional medicine. Dr Scott is a medical doctor who has spent a lot of time working in our region of Southern Africa. This included a period in Botswana where he noticed that the Kalahari people who lived as hunter gatherers had very low incidences of the four big degenerative diseases, Cancer, Diabetes, Heart Disease and Alzheimer's. He read up on the diet of hunter gatherers in this region, and believes their diet is the cause of this healthy pattern. Every year in the lean period they eat a lot of bitter plant foods and get very high doses of phytochemicals. Such foods are found all around the world but rarely are eaten in bulk. However he believes these strong flavored and bitter foods remained in our diet after the Neolithic 'revolution' or transition to agriculture. They were used in small quantities to impart flavour to the bland products of early agriculture. They began to play the role of spices or food flavorants. Epidemiological studies show that low incidence of the four major degenerative diseases correlates globally with spice consumption. He includes garlic, onions, and herbs like rosemary under spices. India and areas of the Mediterranean are his showcase examples of low incidences of degenerative disease and he believes its all due to high consumption of colorful, strong smelling and tasting food flavorants. The average amount of spice eaten in India is 10g daily, and he recommends maximum culinary quantities like this as doses of these protective substances. The culinary doses have stood the test of millennia, in what he calls the largest and most long lasting field trials in the history of humanity. His theory is coherent enough that my usually skeptical self has selected a high spice diet for my health toolbox. Garlic is used in areas around the world as an antiseptic, anti-asthmatic, anti-rheumatic and for the treatment of coughs and colds. It has been frequently studied and there is a lot of research on it. I was delighted to see, that with onions, it contains a substance that is a natural vasodilator, lowering blood pressure. It contains 25 different anti oxidants. The use of herbs and spices like garlic for health purposes is for preventative nutrition. When you have a crisis, like an established tumor, garlic is unlikely to take it away. It can only work as support for your other more aggressive therapy. Garlic suppresses COX-2 activity associated with inflammation and malignancy and if consumed regularly works protectively against colon, breast, bladder, liver, prostate and lung cancer and leukemia. It also inhibits Helicobacter pylori infection of the stomach which causes ulceration and eventually can cause stomach cancer. In areas with poor storage facilities for grains, nuts and other crops, people run the risk of consuming food infected by Aspergillus flavus fungi. This fungus produces aflotoxin which is a chemical that can lead to liver cancer. However sulfide molecules in garlic neutralize aflotoxin by speeding up its breakdown, after which it is harmless. Substances in garlic are immunomodulating. They stimulate the production of certain kinds of white blood cells that infiltrate tumors with natural killer cells. They also stimulate the natural necrosis of tumor cells, and produce cytokines and interferon that protect against the spreading of cancer. Garlic lowers unhealthy blood lipids, protecting from and even reversing the processes of atherosclerosis, reduces platelet stickiness which causes clots, and produces tiny amounts of nitric oxide which dilates blood vessels. This reduces blood pressure and combats erectile dysfunction. Garlic can help lower blood sugar and blood lipids. Once again once you have diabetes your body is in crisis. Garlic alone will probably not cure you, just help. Garlic can reduce the deposition of amyloid plaques by 30%, used with turmeric it is an important means of natural prevention of Alzheimer's disease. Garlic contains ajoene which inhibits lipase, and thus limits the uptake of dietary fats. Garlic increases brain sensitivity to leptin, and thus could help reduce pathological appetites. I certainly noted a smaller appetite on the 'Ayurvedic' morning drink below. 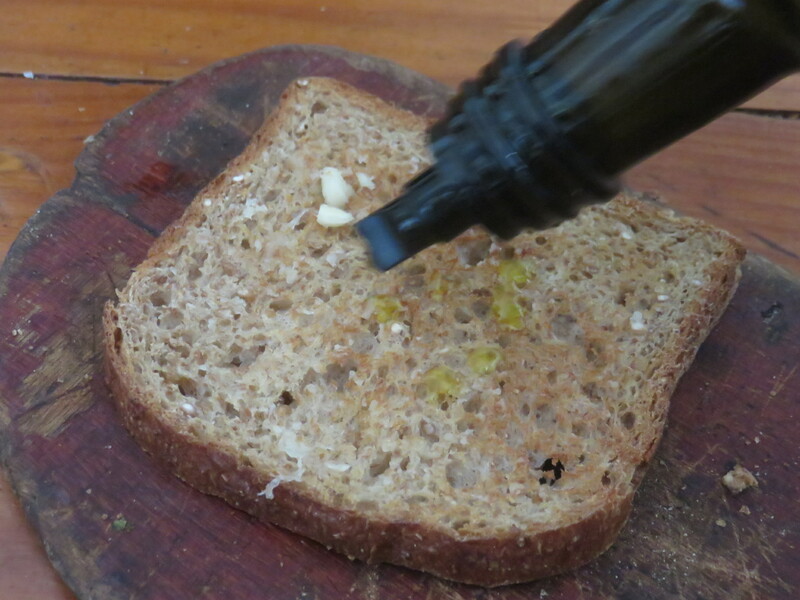 Substances in garlic are immunomodulating. That means stimulating a weak immune system and suppressing an over active one, as found in autoimmune disease and allergic reaction. Garlic can kill a wide range of bacteria, viruses and fungi. Research is in process on how it could help people with compromised immune systems fight off frequent infections. Fresh garlic offers the broadest spectrum of phytochemical benefits, while special preparations will enhance particular substances in garlic. Excessive quantities of garlic cause adverse side effects. 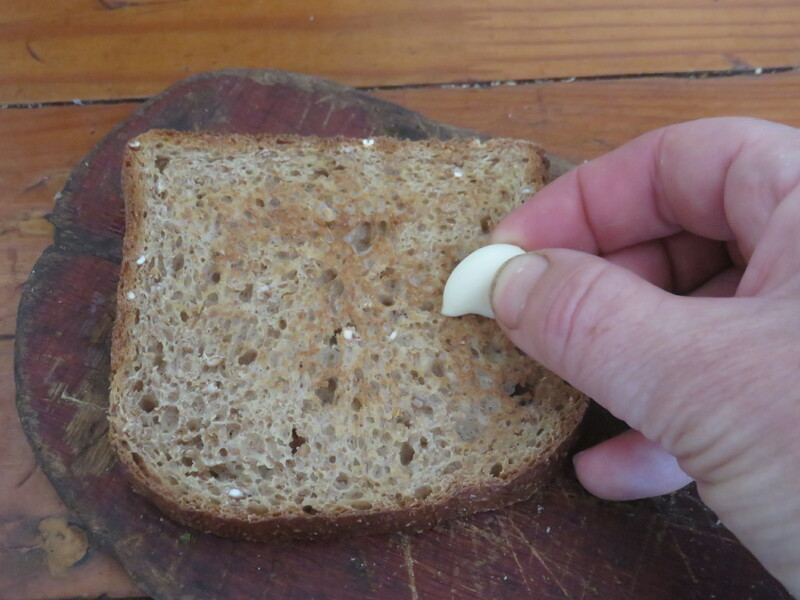 2 cloves a day are a protective dose of garlic for healthiest outcomes. For higher doses consume only the quantity that would be consumed in a culinary context where a lot of garlic is used, in other words, stay within culinary dosage. Take a peeled clove and scrape it over a slice of hard brown toast both sides till its all gone, then drizzle the toast with olive oil. Mmmmm ! Squeeze an orange and half a lemon into a glass, add a tablespoon of olive oil and 1 grated garlic clove and perhaps a sprinkling of freshly ground black pepper and down it on an empty stomach in the morning. I got this from a friend of my sister's as an Ayurvedic health diet tip. I found it really made me feel great immediately afterwards and better over time with frequent consumption. It was also a good appetite suppressant.